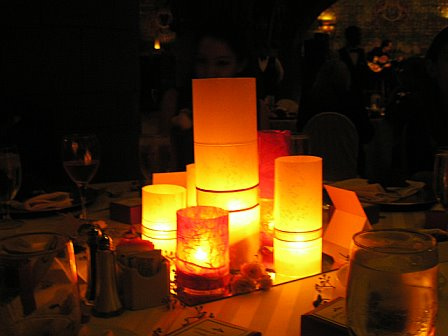 Using candles is very lovely and romantic. It warms up the room, but is quite simple and elegant. Twigs!! 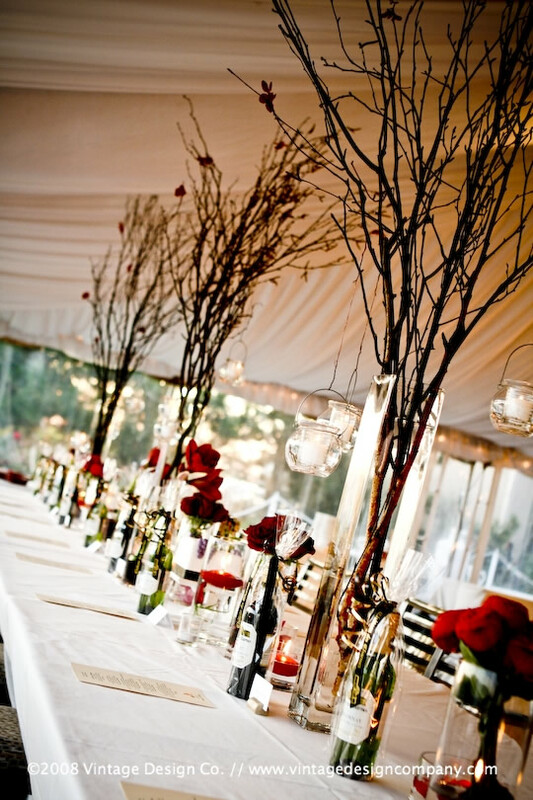 I love this centerpiece. It is so dramatic. Using twigs , what a unique idea. It will be quite the conversation piece among the wedding guests. 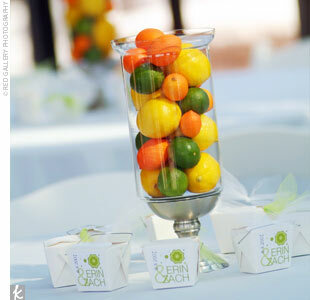 Using fruit in centerpieces is a great way to add color. I love this idea.